«L’Etat c’est moi»: this statement known to be pronounced by Louis XIV of France (or the Sun King), enlightens the importance of monarchies in the formation of European States. Nonetheless, the end of the Ancien Régime and the emergence of a powerful class, bureaucratic and bourgeois, downsized the role of the monarchies. 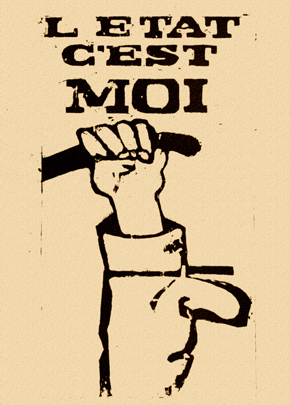 Economic and political transformations provoked by the French Revolution and the Industrial Revolution made the bourgeoisie to occupy new political spaces. But, even if reduced in its political relevance, royal families did not dissolve as political institution and national symbol. Diacronie aims to refresh the debates about the role and action of European monarchies in the age of nationalisms, leaning on Catherine Brice’s argumentations . The theoretical model proposed by Eric J. Hobsbawm and Terence Ranger , as well as Benedict Anderson  will constitute the base to investigate how royal families contributed with their action to legitimate the monarchic institution and to decipher if, otherwise they were the objects of ex post historiographical construction. How did European monarchies influenced the development of nationalisms? What was the relationship among the king, the Royal family and new social groups emerging from the society of the XIX century? What was the impact of royal charity towards people? How did these donations influence the structure of a new unitarian sentiment among the people? How did the Kings used the monuments? Were they a way to legitimate again their authority on subjects/citizens? How did these monuments influence new patriotic and national sentiments? The dossier will focus on sovereign’s imagine, on his symbols and on the relationships the Royal families had to build with new emergent classes, in order to give an alternative lecture of monarchies in the age of nationalisms. The authors interested in this CFP can submit their article in Italian, English, French or Spanish (30.000-40.000 characters, including spaces, footnotes and bibliographies) at redazione.diacronie[at]hotmail.it. Please refer to http://www.studistorici.com/proposte-di-contributi/) for style and templates requirements. Please notify as soon as possible, by contacting the editors, of your intention to participate with an article. The deadline for the proposal abstract (500 characters) is 15th May 2013: we will notify of the acceptance or rejection of the proposal by 1st June 2013. Final submission must be sent by 15th September 2013.